Four members of the Bolsover Cruise Club office in Barlborough will be keeping their feet on dry land as they prepare to take part in the Asics Neon Run to raise money for the charity Reuben's Retreat. The Asics Neon Run is a unique night-time 5km run which takes place in Temple Newsam in Leeds on 18th October. Along the course will be neon zones engulfed by black lights, lasers, strobes, dancers and DJ's to keep the runners going strong. 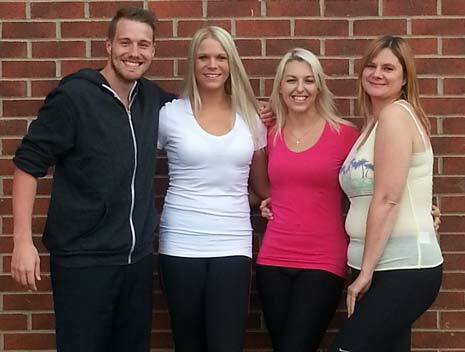 The team members taking part (above) are Sarah Wilson, 40, from Palterton near Chesterfield; Victoria Anderson, 32, from Dronfield; Linzi Robinson, 29 from Whitwell in Worksop; and Adam Blake, 24, from Hasland in Chesterfield. 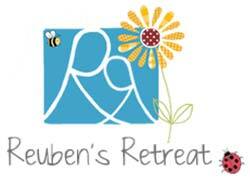 Reuben's Retreat is building a retreat in the Peak District to help families who have experienced the loss of a child or who have a child suffering from a life limiting or life threatening illness. The charity was created in August 2012 by Nicola and Mike Graham following the tragic passing of their 23-month old son Reuben, who fell ill whilst on holiday in Devon. Following a minor fall from which Reuben seemed slow to recover, his parents were delivered the awful news that Reuben had a rare and aggressive brain tumour and he sadly passed away a week later. Just two days later, the charity Reuben's Retreat was launched, with the aim of one day creating a much needed place where families could relax, recharge, remember and rebuild their lives. Just 23 months after the charity was launched, it reached an amazing milestone, raising £1 million, and purchasing a property situated in parkland in the peak district. The substantially sized property, encased in 1.63 acres, provides over 21 bedrooms and also has a separate lodge. Plans are already underway to renovate the lodge which will be the bereavement counselling and support centre. 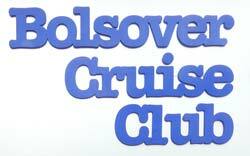 Sarah Wilson, Training and Sales Supervisor at Bolsover Cruise Club, said: "We are all relatively new to running, but we've been training hard and we are all up for the challenge! Reuben's Retreat is a charity that is very close to our heart and we are determined to raise as much money as possible for it. "We all know Mike Graham from his visits to our office as he works in the industry, and we think it's amazing that he and Nicola were determined that something positive should emerge from their grief. "They have raised a phenomenal amount of money in such a short space of time and we want to help continue the charity's success. The services and support it will provide are so very important." Nicola Graham, Reuben's mummy, said: "Myself and Mike and all of us at Reuben's Retreat are so very grateful to the team at Bolsover Cruise Club for taking on this challenge to help us raise much needed funds. "We've bought the retreat, but it needs a huge amount doing to it to make it into the place we know is so needed. Every penny takes us one step closer, so thank you to the team - and everyone please dig deep and sponsor them."